The Diocese of Parramatta pilgrims during their post-World Youth Day retreat in Houston, Texas. Image: Diocese of Parramatta. Bishop Vincent Long OFM Conv is leading 171 pilgrims from the Diocese of Parramatta to World Youth Day 2019 (WYD). 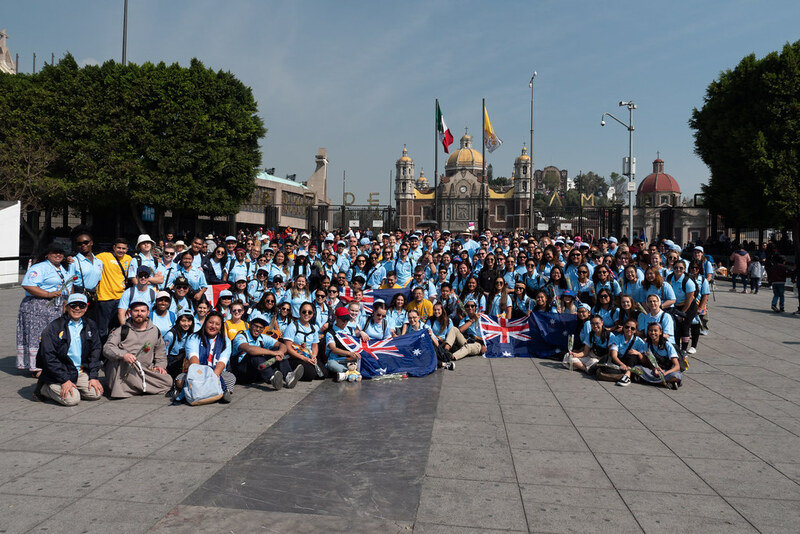 WYD 2019 will be a pilgrimage to Mexico, Panama and the United States for a two-week festival of faith with millions of youth from around the world joining Pope Francis for an encounter with Jesus and deeper faith formation. The Diocese of Parramatta Communications Team will be capturing stories during WYD 2019. You can follow the pilgrimage below through our daily updates and on parrawyd.org. The final day of the World Youth Day 2019 pilgrimage for the Diocese of Parramatta pilgrims was marked with a day of reflection and contemplation, culminating in a final Mass at their retreat at Stoney Creek Ranch, two hours out of Houston, Texas. Pilgrim Max shared about seeing God in the small moments and how seeing different cultures and experiences were an eye opener for him. He said that whilst it was physically and emotionally draining, the journey was spiritually enriching to him. The day began with morning prayer and pilgrims were given an opportunity to share their experiences and moments of grace witnessed during the pilgrimage. The group sharing session was followed by a chance for pilgrims to gather and share in their small groups for a final time and to journal their personal experiences. This was followed by the final Mass of the pilgrimage. Tomorrow the pilgrimage group begins its return tomorrow to Sydney, with groups travelling direct to Sydney and others through Los Angeles and San Francisco. View the photos from today here or click on the images below.